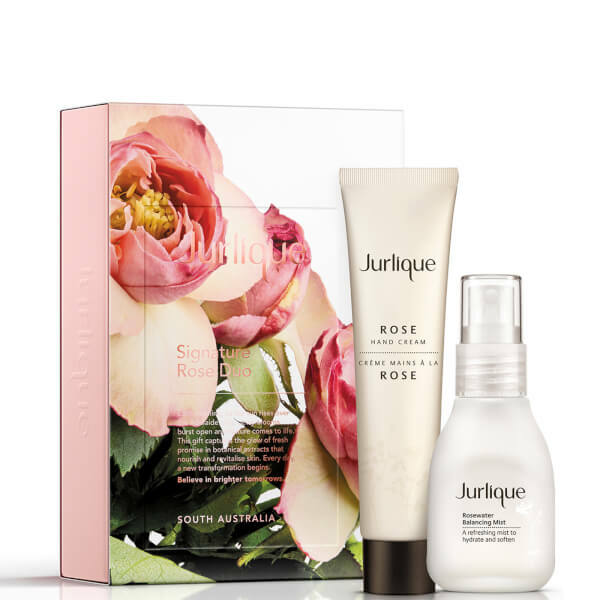 Pamper your skin and senses with the Signature Rose Duo from Jurlique. Housed in a gift box, the kit combines a luxurious hand cream and a rejuvenating mist with a delicate floral fragrance. Enriched with nourishing Honey, the fast-absorbing hand cream delivers intense hydration to leave your hands full of moisture. Precious Rose Oil restores skin, whilst Sweet Almond and Viola soothe dry, irritated hands. Transforms hard-working, rough hands thanks to antioxidant Vitamin E, which works to protect skin from damage.